A way to help your allergies! Filter Snap! If you or your family sneeze and wheeze, you probably have a whole routine to get relief at home: keep your windows closed, crank up the air conditioning, clean your ceiling and bathroom fans, and so on. But here’s a key defense that many people forget: change the air filters in your furnace. Furnace filters trap airborne particles like pet dander, dust mites, pollen and mold spores to prevent the dirt from entering the furnace’s blower. 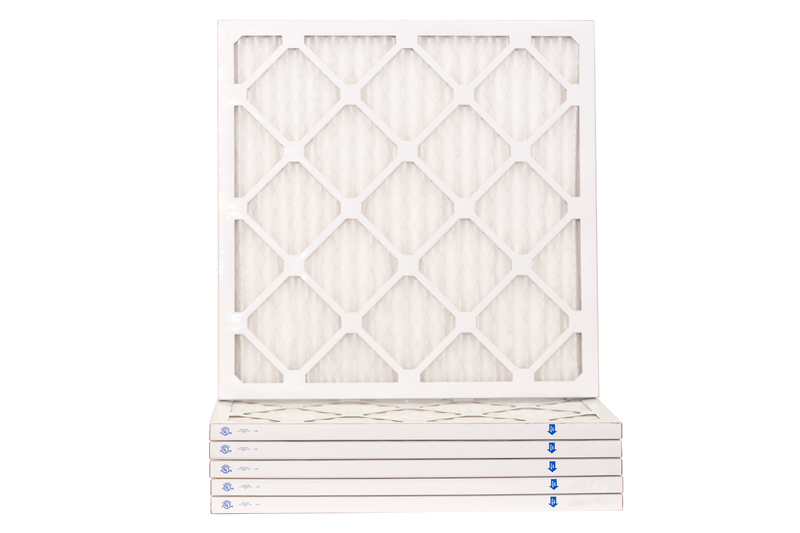 As the particles build up, the filter gets clogged so these allergens stay in the air. Add that to outside offenders that are unleashed as plants begin to bloom, and you’ve got allergen overload. Result: misery. I really didn’t think about this too much until I had the opportunity to receive filters to try out from Filter Snap. I did receive samples and have to say that I was quite impressed with the quality. They seem to capture more dust and particles than the filters we currently have been receiving from our property management office. I noticed that we were sneezing less too! Self Disclosure: I received free samples to facilitate this post. Photo Credit: Filter Snap. HairZing is the Perfect Hair Accessory! A Beauty Must-Have! 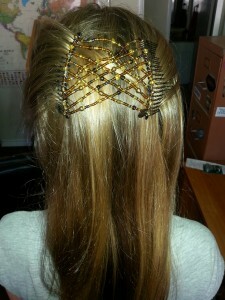 Looking for a Hair Accessory that will make you look glamorous? HairZing is the answer! HairZing products are durable, attractive, perfect for up-do’s, when you’re in a hurry, and help add that extra pizzazz into your entire look for that day! I received samples and decided to let one of our younger reviewers test them out. They seem to be a hit! “It’s really fancy,” says Raya. She also added, “Also after you get the hang of it, it’s easy to put your hair up.” She also thinks that it makes her look more grown up and sophisticated, especially with the updo. I have to say that I agree! HairZing is the ONLY accessory that holds snugly without exerting any pressure on your hair or clamping down onto it. 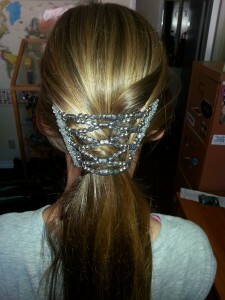 Thier combs and bands work together, balancing the weight of your hair between them, preventing headaches and pinching. Additionally, HairZing combs have no open edges to catch hair, our resin resists tangling and attaching to your hair, and HairZing’s lay FLAT, this is the only hair accessory you can slip a helmet/hat over easily. Check them out at http://www.hairzing.com. For the next two weeks, our readers can use the following discount code to received 10% off! Now, how cool is that?! On their website, use the code: DENISE10Z. Update: This code does not expire! Self Disclosure: I received free samples to facilitate this post. No other compensation was received. Thank you to our Guest Reviewer, Raya for reviewing this product! YouTube video credit: Julie W.
Travel through the alphabet with The Alphabet of Bugs to learn about the many beautiful and unusually named bugs found in nature—and brush up on those ABCs as well! The Alphabet of Bugs is the perfect gift for both those learning the alphabet and insect lovers. Even those normally squeamish around bugs will enjoy the colorful photographs of these unique and beautiful creatures. 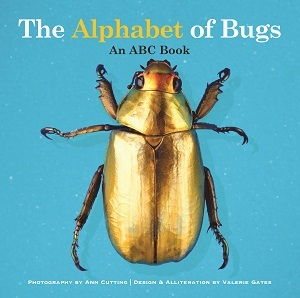 Children who already know their basic bugs will broaden their horizons to the more unique and rare, and parents who are tired of simple butterflies and beetles will find this book worth rereading. Spectacular real-life photographs of insects of all kinds will inspire both children and parents to learn more about the different creatures found in the natural world. This book is meant for readers ages 3–5 (grades preschool–kindergarten). I received a copy of this book and love the beautiful photos and I even learned a thing or two about Bugs! I had never heard of the Giant Leaf Insect and found it interesting that it looks just like a green leaf. I highly recommend for ages 3-5. What a great way for young children to learn about different bugs! Find it on sale at Amazon.com. The newest addition to the Texas Farm Girl series, Reap What You Sow teaches children how to turn a negative situation into a positive one and thrive in the face of adversity. 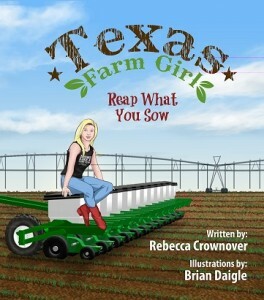 Texas Farm Girl makes a costly mistake on the farm when she doesn’t follow PawPaw’s instructions. Instead of giving up, she works hard to fix her error and make her PawPaw proud, leading to a very important lesson about taking responsibility and overcoming unexpected obstacles. I received a copy of this book and I really do love the positive message of this story. It really is a Must-Read for children ages 5-8 and I like that even though the main character is a girl, this story would be great to read to boys too. Learning to take responsibility and overcoming obstacles in your path is not an easy lesson for children to learn and this story helps teach this meaningful lesson. Self Disclosure: I received a free copy of the book to facilitate this post. Charitable Gifts For Your Bridal Party Giveaway Opportunity! With wedding season in full swing, brides are seeking the perfect gift to show gratitude to their bridal party. 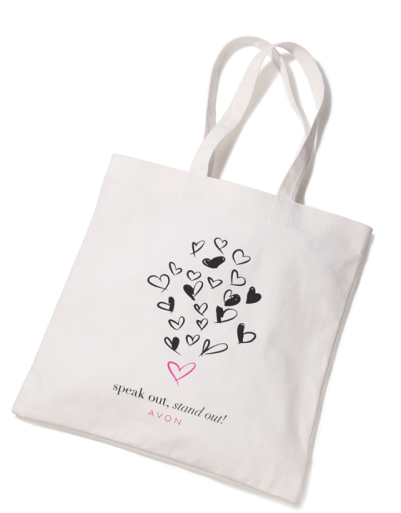 What better way to say “thank you” than with a gift that gives back from the Avon Foundation? A portion of the net profits from each product will benefit Avon’s Speak Out Against Domestic Violence program and the Avon Breast Cancer Crusade. All three of these items would make wonderful gifts! 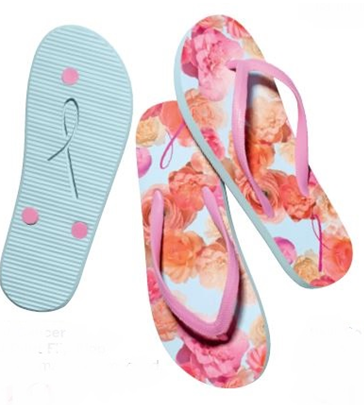 Breast Cancer Floral Print Flip Flop: Guests will be thrilled to find an adorable pair of flip flops at their ready for when it’s time to lose the heels! 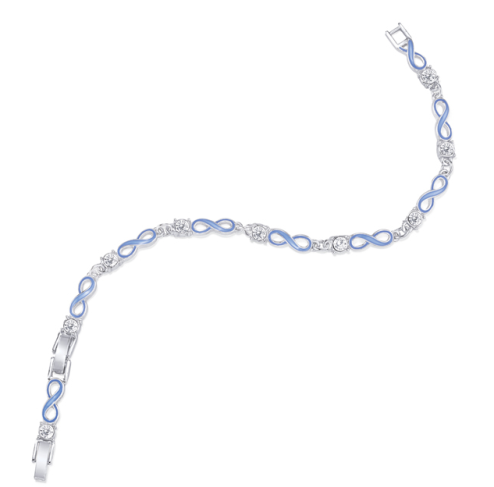 Empowerment Tennis Bracelet: Accessorize your bridesmaids with matching Empowerment Tennis Bracelets. This beautifully adorned bracelet will be a keepsake memory for many years to come. o Description: Silverstone and faux stones, 7 ¼” L with 1” extender. Empowerment Tote: Perfect for carrying all items on the big day and can be used afterwards for everyday use. Remember to fill the tote bags with goodies for your girls! My favorite this Summer are the Flip Flops! They are really cute and comfortable too! We have teamed up for a Giveaway! One winner will win a pair of the Breast Cancer Floral Flip Flops. To enter, leave a comment below with a bridal shower or wedding planning tip! Deadline to enter is July 12th, 2015 at noon PST. US Residents only. One winner will randomly be selected via Random.org. Self Disclosure: No compensation was received to post. One winner will receive giveaway prize to be shipped directly to them. Photo Credit: Avon. On-the-go Fun for Kids! by Amanda Morin A Real Must-Buy! Do you have a young child and are travelling this Summer? 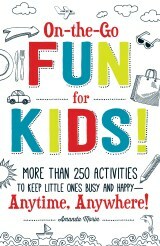 There is a must-have book to read: On-the-Go Fun for Kids! More Than 250 Activities To Keep Little Ones Busy And Happy-Anytime, Anywhere! by Amanda Morin. I received a copy of this book and love all the great ideas! There are car trip games to Hotels and Vacations. My favorite chapter is #6: Bonus Activities For Work-From-Home Days. I really like the ideas Making a Movie (pg. 160) and Water Bottle Bowling. There really are so many fun things for kids to do. I would recommend for parents/caregivers of children up to the age of 8. This really is a Must-Buy! Great for summer and anytime! You can purchase on Amazon.com and at B&N. Amanda Morin is an education writer and a special education advocate. She is the author of The Everything Parent’s Guide to Special Education and The Everything Kids’ Learning Activities Book. Morin is also a contributing writer for Parenting Special Needs magazine and on the editorial team of Understood.org. Her work has been featured on the National Center for Learning Disabilities website, Education.com, PopSugar Moms, and About.com. You can visit her website at www.everythingkidslearning.com. Self Disclosure: I received a free copy of this book in exchange for an unbiased review. They’re back! 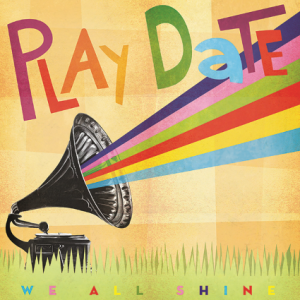 The award-winning kindie music tour-de-force known as Play Date invites kids to get sweet, get silly, get moving, and join the party with the July 24th release of the duo’s second album of empowering, positive, spunky songs, We All Shine. Play Date is the husband-and-wife team of Greg Attonito (lead vocalist and founding member of punk legends The Bouncing Souls) and singer/songwriter Shanti Wintergate. The couple’s positive take on life shines throughout all their artistic efforts. Guests on We All Shine include former Bouncing Souls drummerMichael McDermott, underground hip hop artist P.O.S, and legendary jazz musician Brian Auger. Filled with soulful, stylish, and unforgettable tunes, We All Shine is crafted with a sophistication that will surprise even the grumpiest of grownups. Listeners will hear flecks of garage rock, dancehall, pop, and synth, with influences ranging from Patsy Cline to They Might Be Giants. To add to the ambience of sometimes-mischievous fun, four lighthearted, one-minute “PSAs” about the virtues of fruits and vegetables are interspersed throughout the album. Play Date tours coast to coast, bringing its magical music to performing arts centers, schools, libraries, and community centers, while also rocking some of the biggest, most notable music events of the year, including Austin City Limits, Treefort Music Fest, Yo Gabba Gabba Live, Lollapalooza, and Kindiecomm. We All Shine will be available as a CD at funfunrecords.com,iloveplaydate.com, amazon.com, and select independent record stores. The album will also be available for digital download on iTunes,amazon.com, and all major online outlets. You don’t want to miss this one! it’s fun and children will love the tunes! I like that the lyrics are positive messages for young children and that they will enjoy listening to the different songs. Visit Play Date’s website HERE. Self Disclosure: I received a free advanced copy to facilitate this post. No other compensation was received. When school lets out for summer vacation, a child’s learning shouldn’t have to take a break as well. Studies show that many children forget up to 2 months of lessons during summer vacation which forces teachers to spend the beginning of each school re-teaching what students had previously mastered. Inspiring children to continue to learn doesn’t have to be a grueling process as activities and educational games can be a fun way for children and parents to learn new things over the summer. Improve reading and spelling skills: Improve a student’s reading skills with Planet Read!, a free, educational teaching app aimed at children 4+. Planet Read! teaches students to learn to read without memorizing using interactive games, stories and pictures by decoding unfamiliar words and introducing all short, long and diphthong vowel sounds. Available in the Apple Appstore for iPhone andiPad, Planet Read! trains students to understand and read proficiently by decoding unfamiliar words sounds and rewards students with collector’s awards within the app to track progress and hard work. Practice math with tangrams: Introduce new math concepts by making a personal set of tangrams. The various shapes can be traced on a piece of paper, mixed up and rearranged to form new shapes as well as used to create jigsaw puzzles. Learn a new language: Expose children to a new language this summer with Doulingo, a mobile app and website that uses games, quizzes and written lessons to teach beginners vocabulary, phrases and sentence structure. Duolingo contains a variety of language courses such as Latin American Spanish, French, German, Brazilian Portuguese, Italian, Dutch, Irish, Danish, Swedish and Turkish. Doulingo is available online and for mobile use in the Apple Appstore, the Google Play Store and the Windows Store. Have fun with science: Engage children with science experiments to keep learning fun. Scientific exploration teaches kids patience, encourages curiosity and can be done indoors or outdoors. Here is a list of 50 at-home science experiments ranging from bubble concoctions and weather experiments to cold chemical reactions and sandy science. Map out a trip: If a family trip or outing is in the future, ask your child to participate in the planning of the event. Give them maps, brochures and guides to they can figure out directions, activities and a budget for the event. Getting involved will teach them math, geography and problem solving skills. Encourage arts and crafts: Inspire children’s creativity by doing art projects together. Care.com has put together a number of craft ideas that can be enjoyed inside or outdoors in the sun such as a firework painting, glow in the dark jellyfish, fairy houses and a garden rock caterpillar. Credit: Planet Read. No compensation was received to post. Planet Read! was created by Borealis Apps, a team of software developers and experienced technologists focused on educational apps. Planet Read! is an educational teaching app that is a tool to help students learn to read and spell using interactive games, stories and pictures. Planet Read! trains students to understand and read proficiently by decoding unfamiliar words and introducing all short, long and diphthong vowel sounds using over 54 professionally-written short stories. For more information, please visit https://www.facebook.com/planetreadapp.